Please select the country from the list below. Online order is available 24/7. Email will not be replied when office is closed. This Adpater only for HP, Compaq, Gateway 19 Volt and 4.74A version. 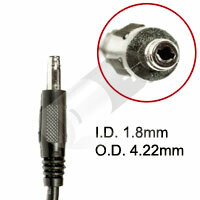 Please make sure the DC output and tip size are compatible before placing the order. You are about to add this item to your shopping cart. Buy Any 2 Items, Get 10 Off! Buy Any 3 Items, Get 15 Off! Warning: If your original adapter requires higher power (Watt) than this product, please DO NOT buy it. We offer FREE EXPRESS shipping on all orders shipped to the 48 contiguous states of the United States. Offer not valid for orders shipped to Hawaii, Alaska, Puerto Rico or APO/FPO. Orders will be shipped by UPS or FedEx. Shipments for PO Boxes may be downgraded to USPS Priority mail if a physical street address is not provided. You Order Today. We Ship Today. All orders (of in-stock items) are processed and shipped within 24 hours Monday through Friday except Public Holiday! For express and overnight shipments all orders placed before 3:00 PM PST will be shipped on the same business day. Orders placed after 3:00PM PST will be processed and shipped on the next business day. 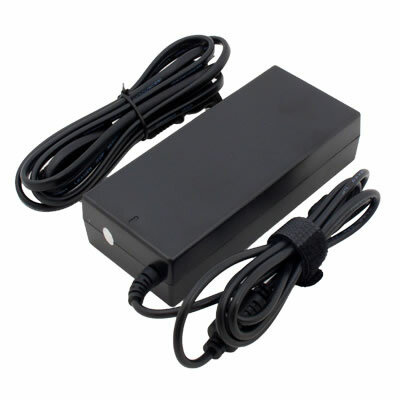 We want you to be fully satisfied with every item that you purchase from LaptopCharge.com. If you are not satisfied with an item that you have purchased, you may request for a refund within 90 days from date of invoice. All returns are subject to a $15 per item restocking fee. Copyright© 2019, LaptopCharge.com, All Rights Reserved.